Despatches from the secret world behind the headlines. 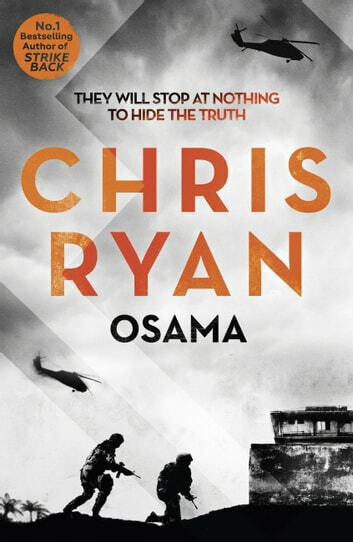 Former SAS legend Chris Ryan brings you his seventeenth novel, filled with his trademark action, thrills and inside knowledge. Osama Bin Laden is dead. The President of the United States knows it. The world knows it. And SAS hero Joe Mansfield knows it. He was on the ground in Pakistan when it happened. He saw Seal Team 6 go in, and he saw them extract with their grisly cargo. He was in the right place at the right time. Or maybe, the wrong place at the wrong time. Because now, somebody wants Joe dead, and they're willing to do anything to make it happen. His world is violently dismantled. His family is targeted, his reputation destroyed. And as a mysterious and ruthless enemy plans a devastating terror attack on both sides of the Atlantic, Joe knows this: his only chance of survival is to find out what happened in Bin Laden's compound the night the Americans went in.